United Garage Doors has created and easily maintained a milestone standard for the best quality garage door services in San Diego, CA area for the last ten years. With the best teams of garage door professionals and equipped with high-tech tools and technology, we are the forerunners in the garage door installation, repair and maintenance services arena. We are always available, no matter what the time is, to better serve the communities of San Diego, CA area, so that no call for assistance goes unanswered. We arrive fast at the scene, immediately figure out the problem and can also do a complete makeover of your garage door in no time. 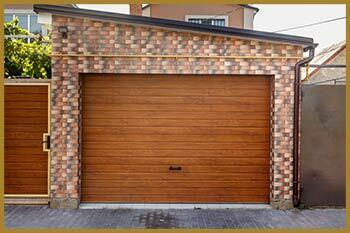 Because garage doors are much, much more than just a mere passageway inside your premises and deserve expert care! The doors are made from parts that are intricately interwoven with each other to make up the complex functional system of a garage door. Any mishandling or even a small mistake can cause the door to malfunction and even worse, the resulting break down can cause some heavy property damage or even injuries. So that is why you will need nothing but the skilled help of a professional garage door service agency to solve your garage door issues. United Garage Doors handles a long range of customer-friendly services that resolve every issue with great dexterity and quickness. From changing your old doors with new ones, crafting or re-animating your old doors into a trendy one, doing regular check-ups to polishing up any emerging cringe, we do all of that and more. We fix and repair modern door openers, heavy duty springs, custom made house doors, garage door cables, motion sensors and so much more. Every time you trust us with your garage door issue, our team of experts will form the best options to solve your issue in sync with your requirements and budgets. Your garage doors are a very vital component in your home or office, and that is why you must trust only an apt and skilled garage door service agency with your garage door issues. United Garage Doors has the most awesome network of best door mechanics that are armed with years of rigorous training and a wealth of superior knowledge to solve any of your garage door issues. Whether you have a broken door or a non-operational door opener, we have the talent and skills that allows us to grapple with any kind of issue and come up with an accurate solution. If you desire quality, a fast response to your enquiries and affordable prices for the best of services, then you can completely rely on United Garage Doors, call us today!